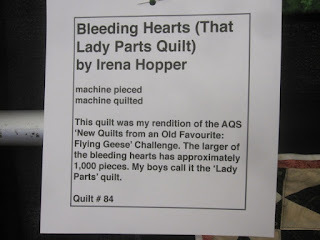 My apologies for some of the photos. 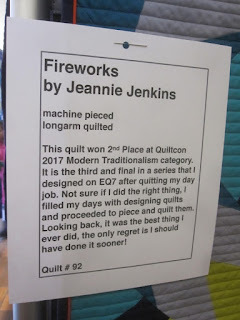 The lighting in some areas where the quilts were hung were not very good. 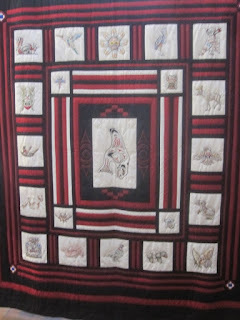 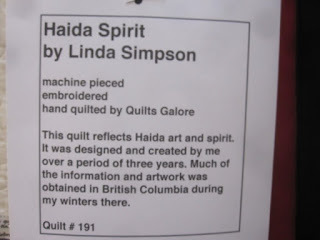 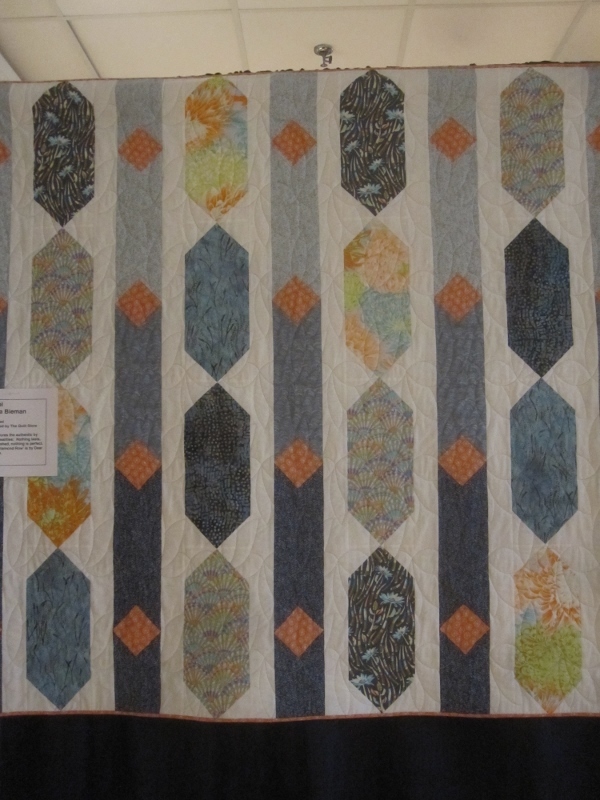 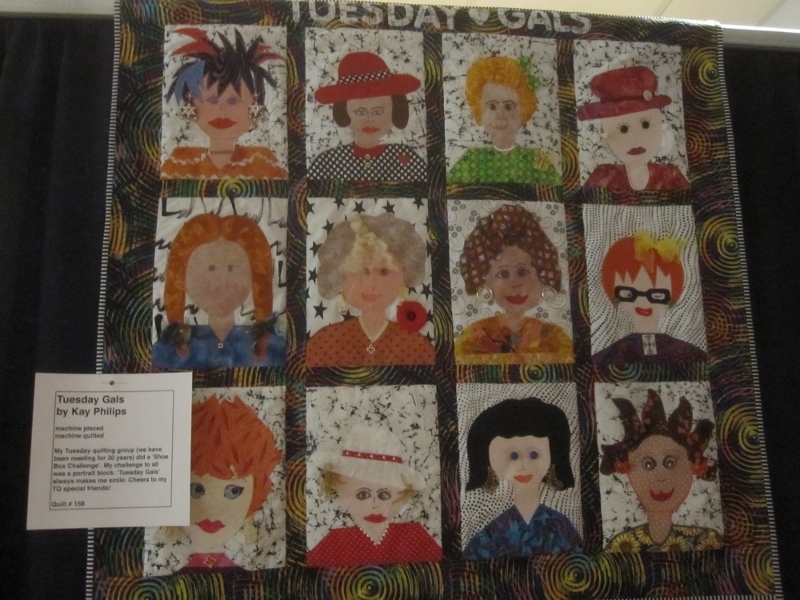 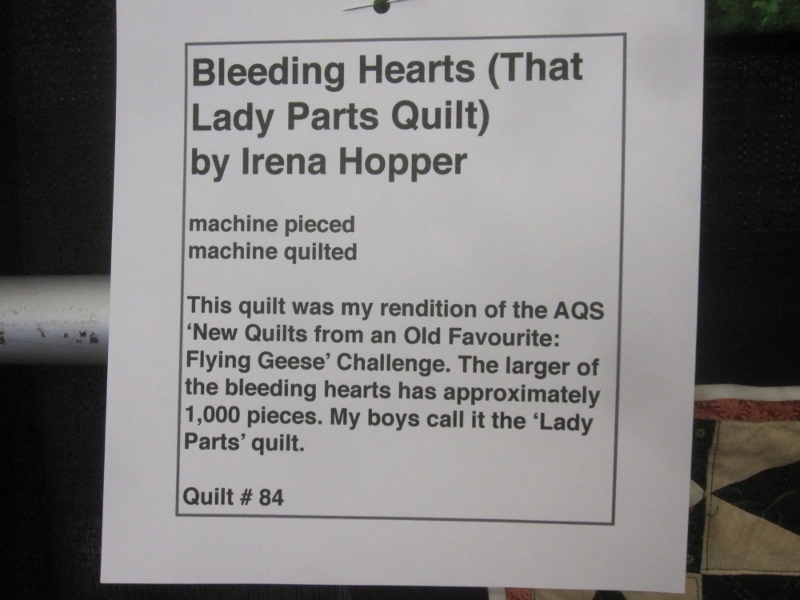 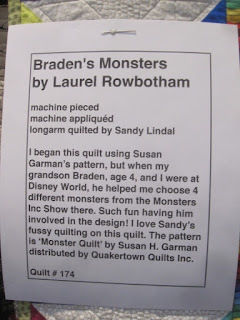 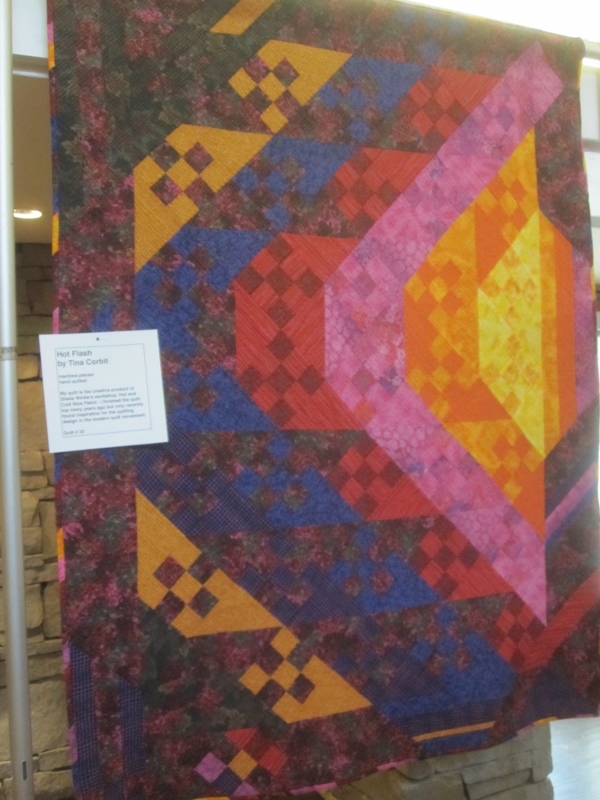 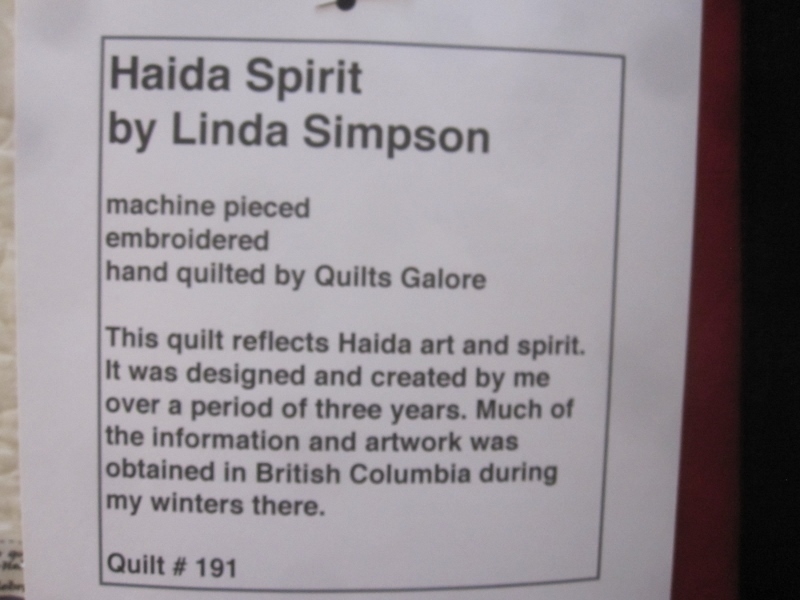 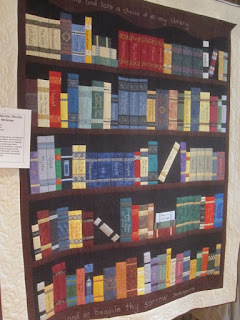 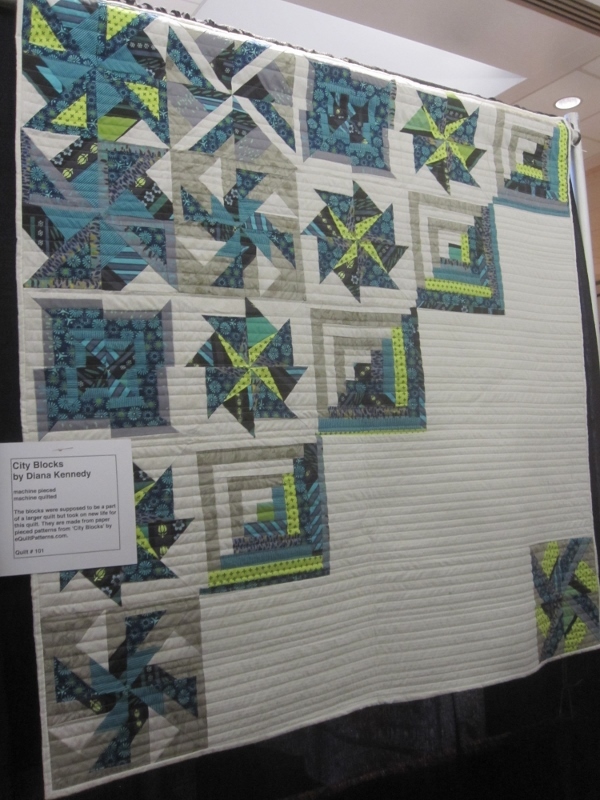 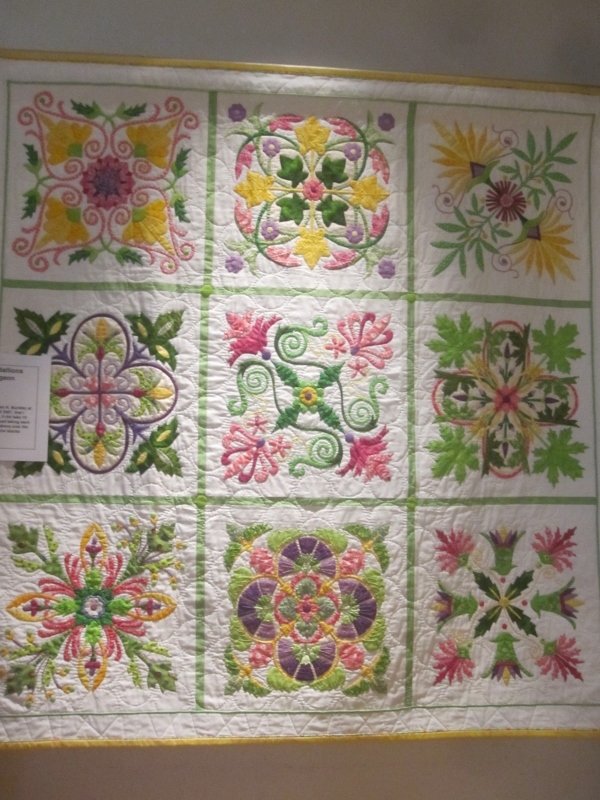 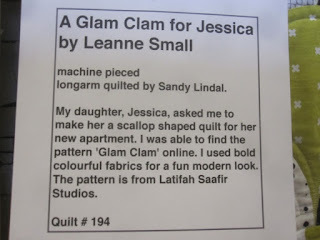 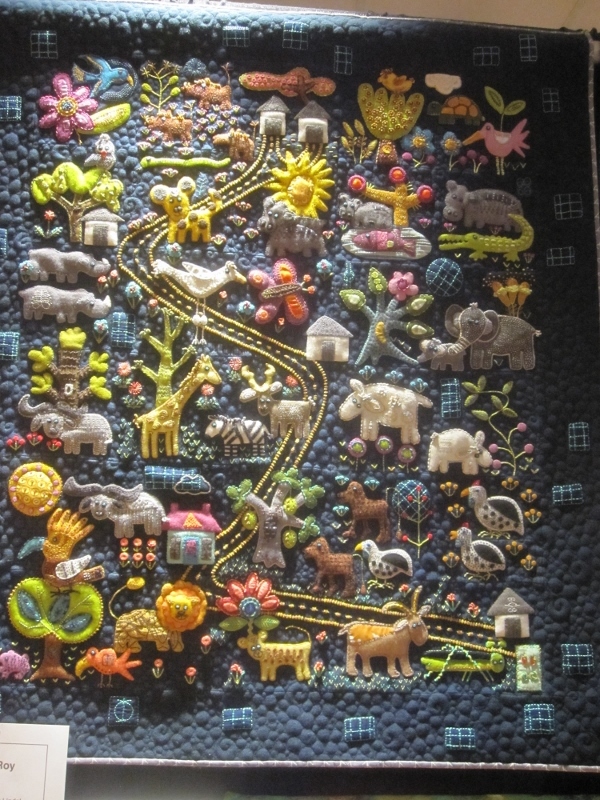 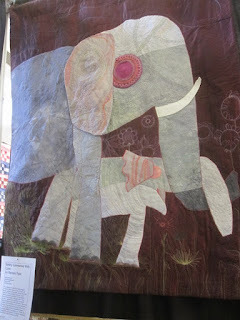 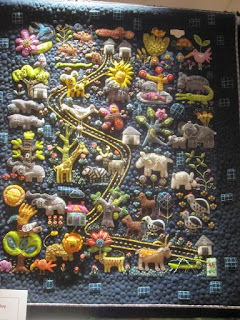 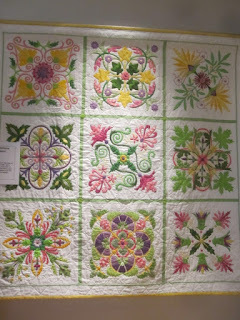 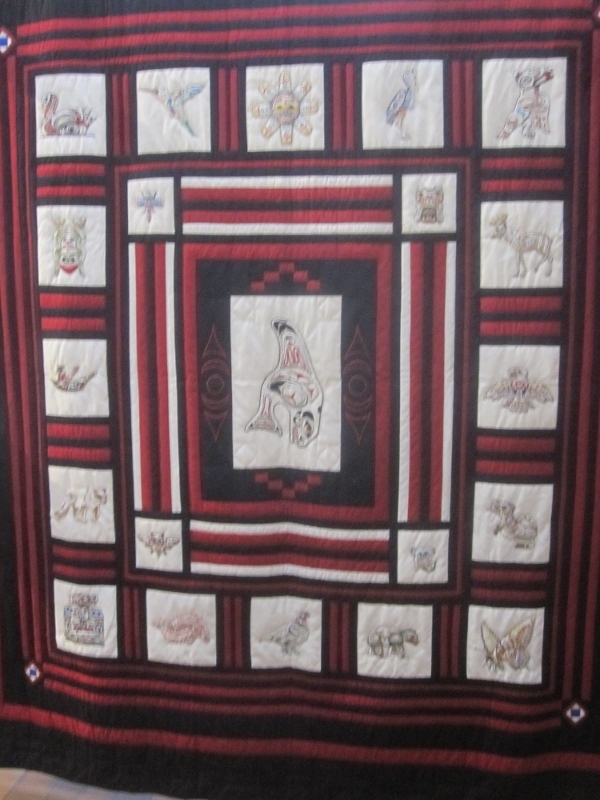 I hope it doesn't detract from the work done by some very talented quilters. 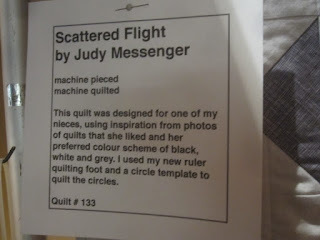 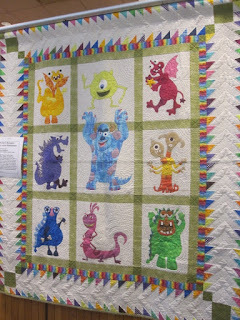 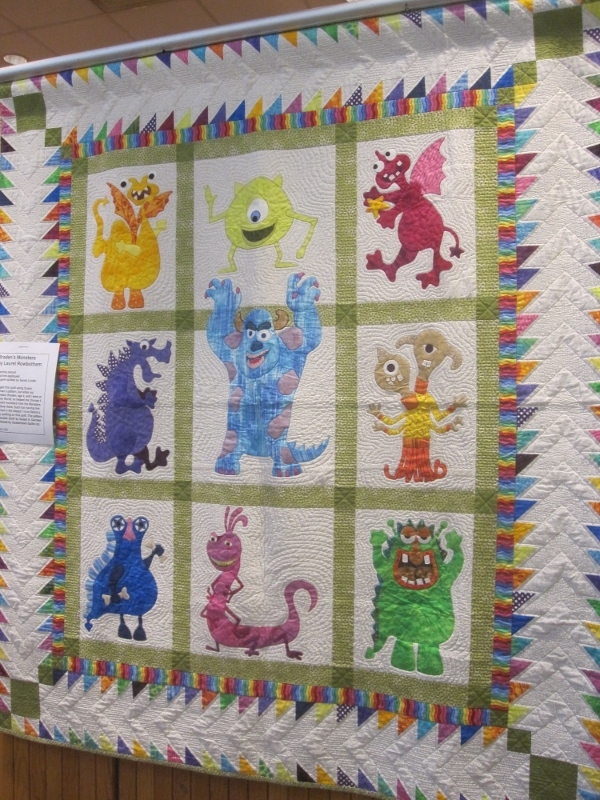 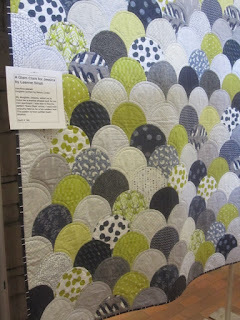 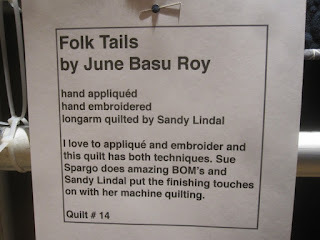 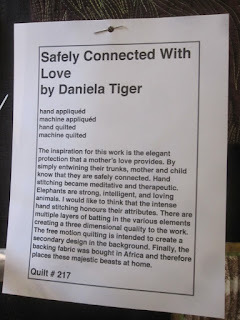 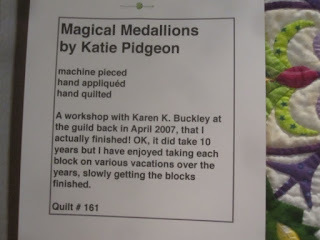 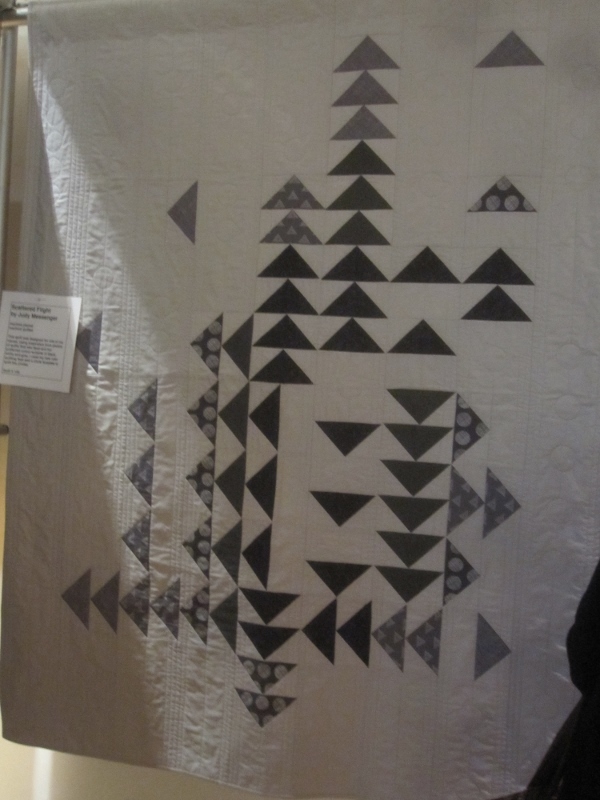 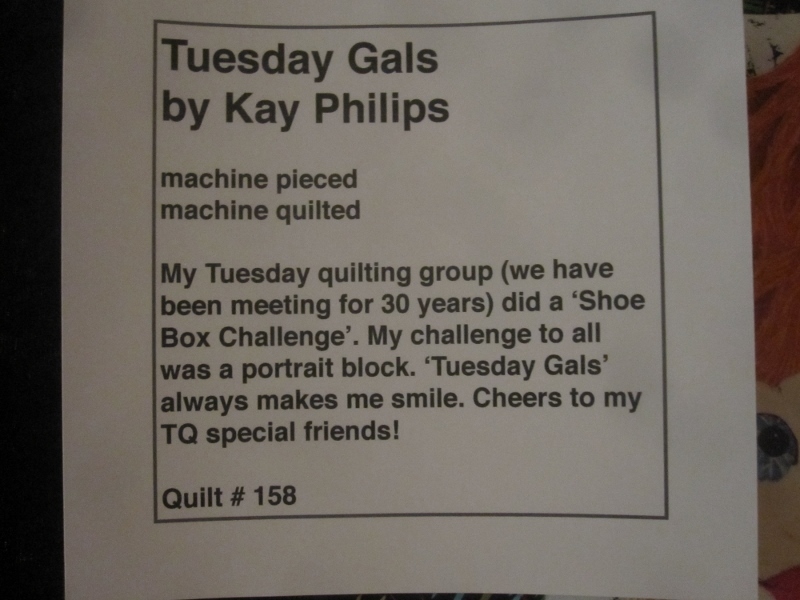 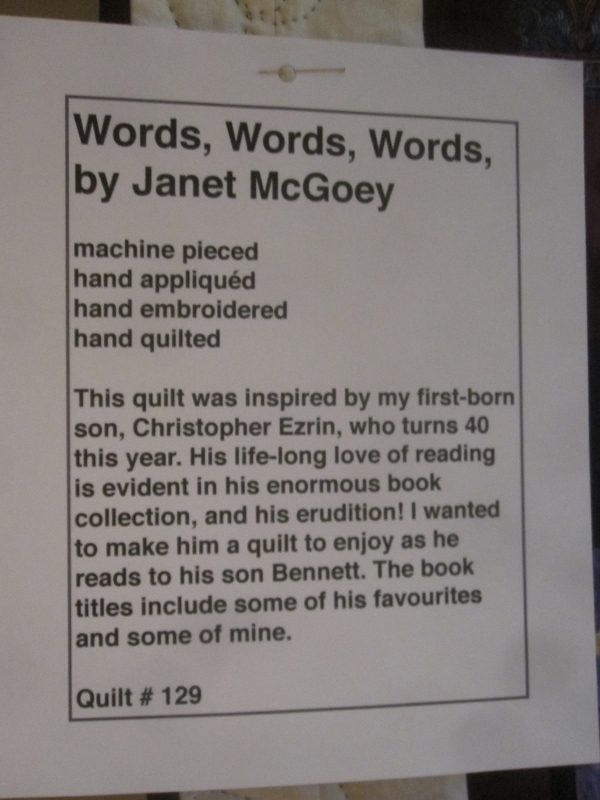 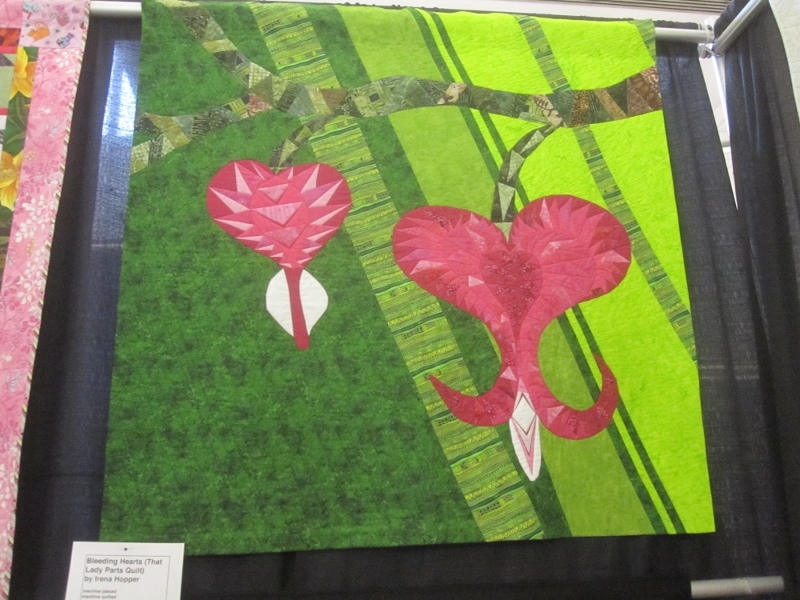 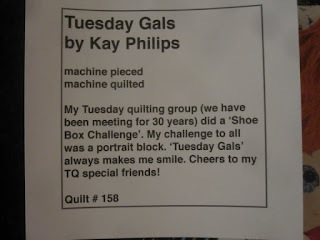 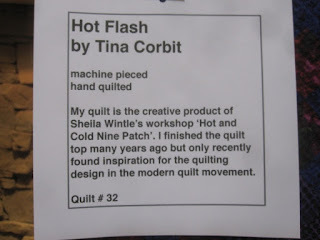 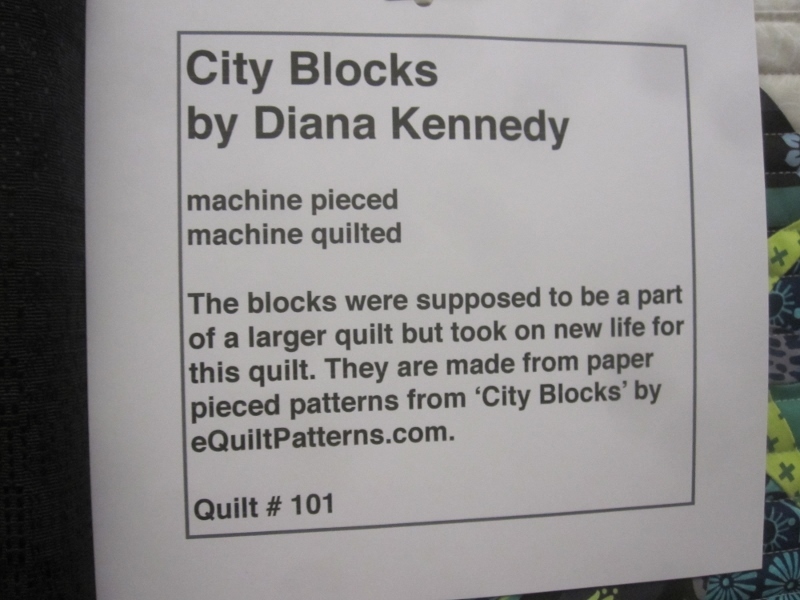 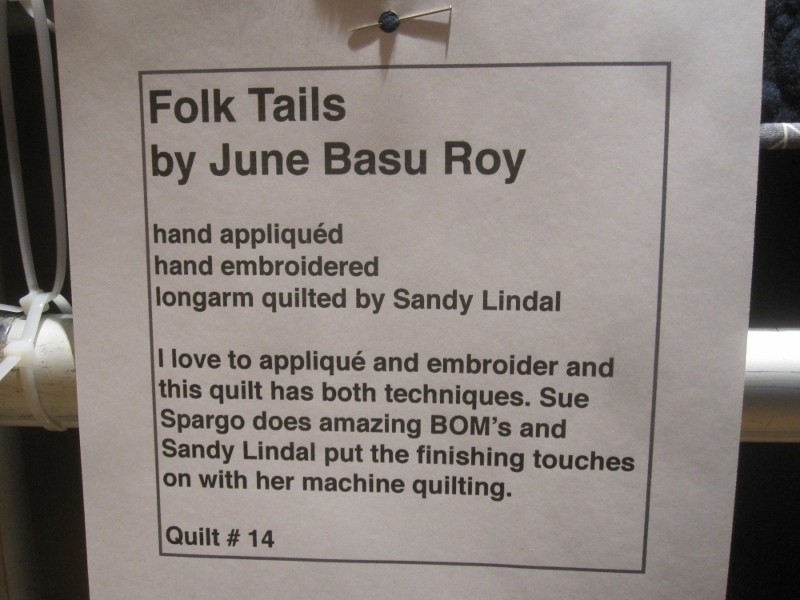 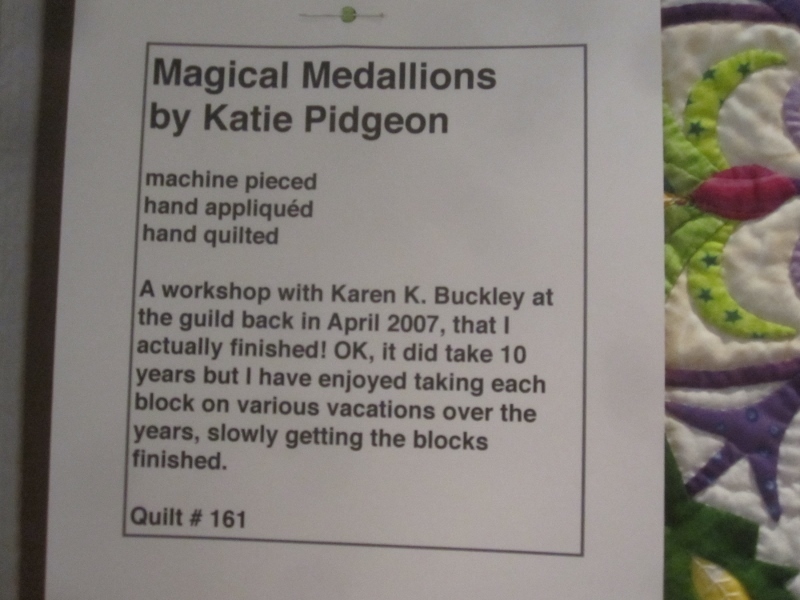 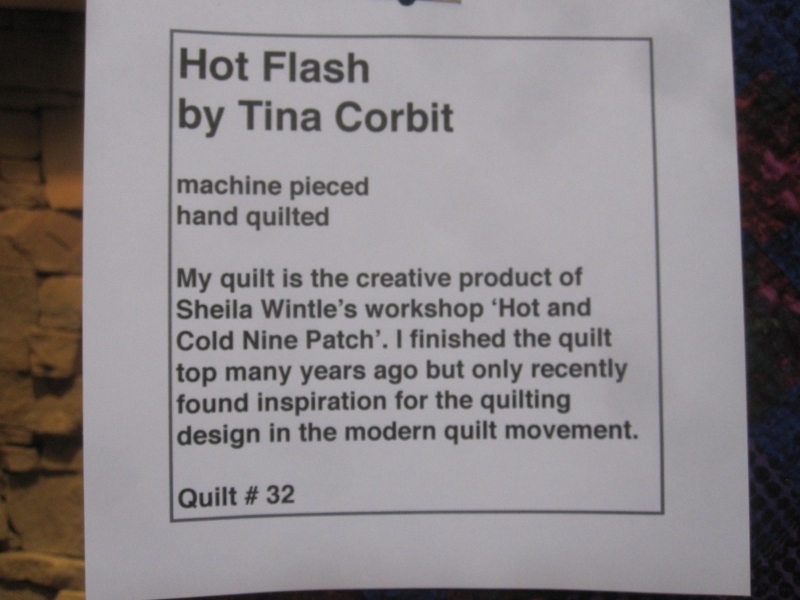 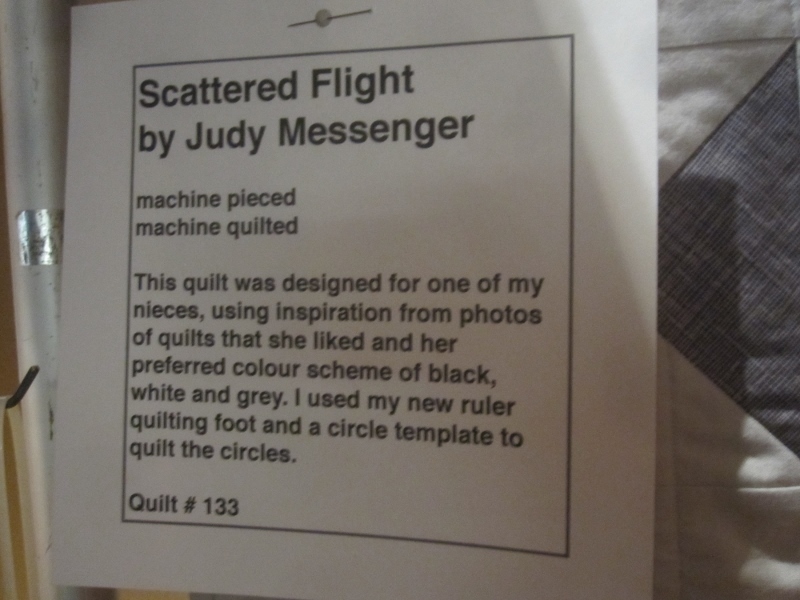 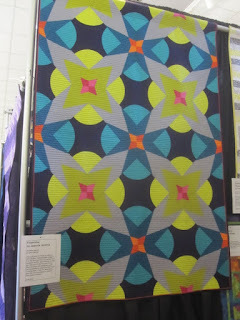 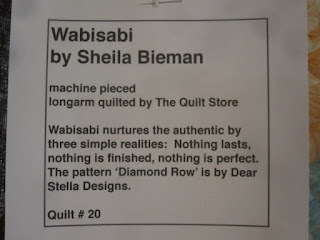 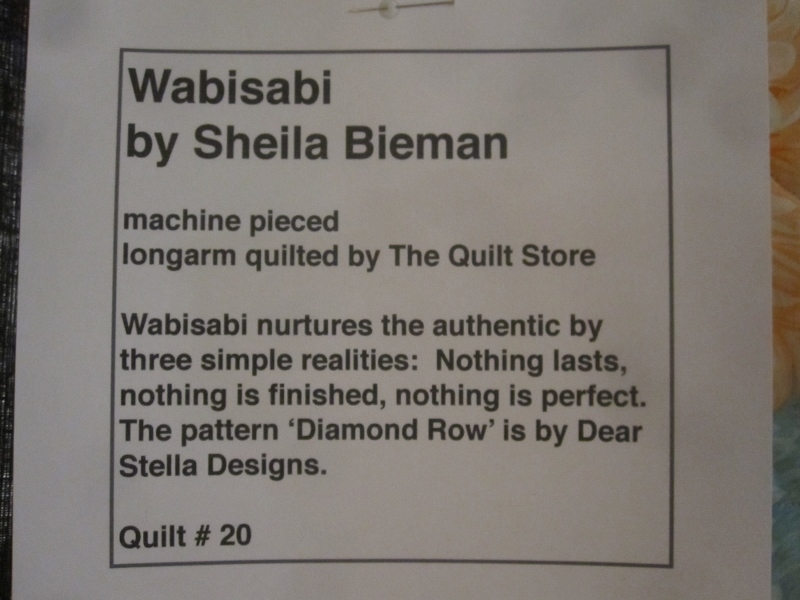 Marg really liked the idea behind this quilt. 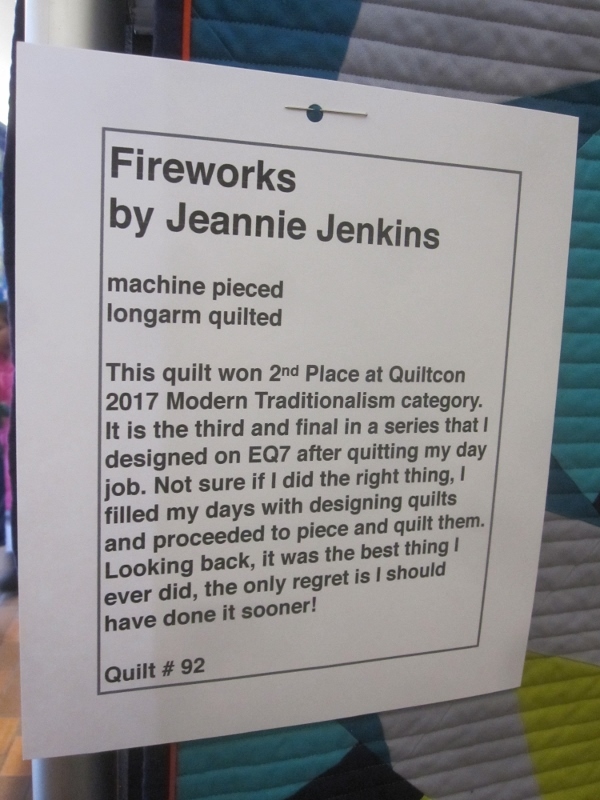 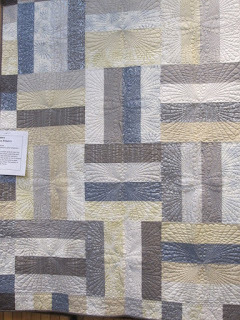 The quilting is quite different in this quilt. 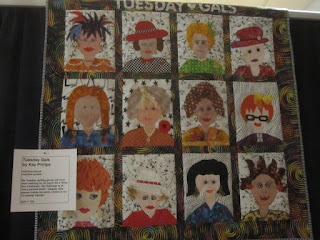 There are still more photos but I think I'll post them tomorrow. 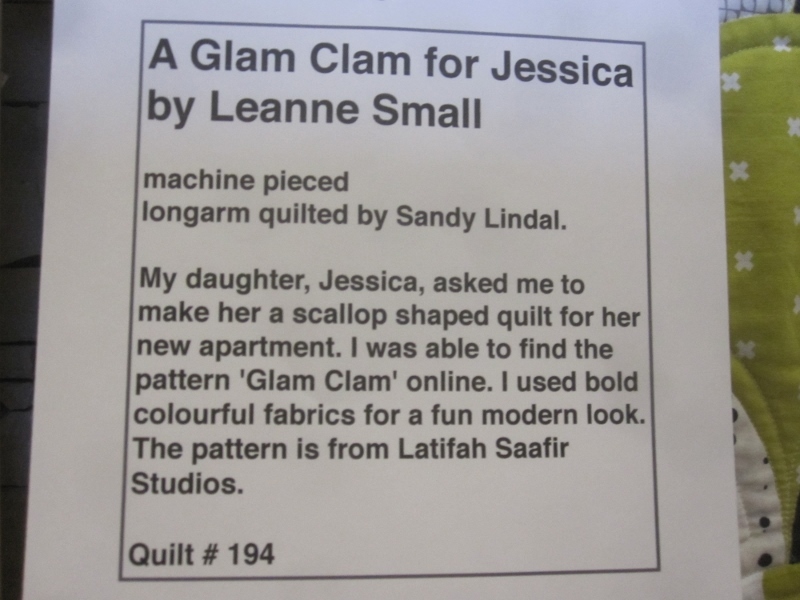 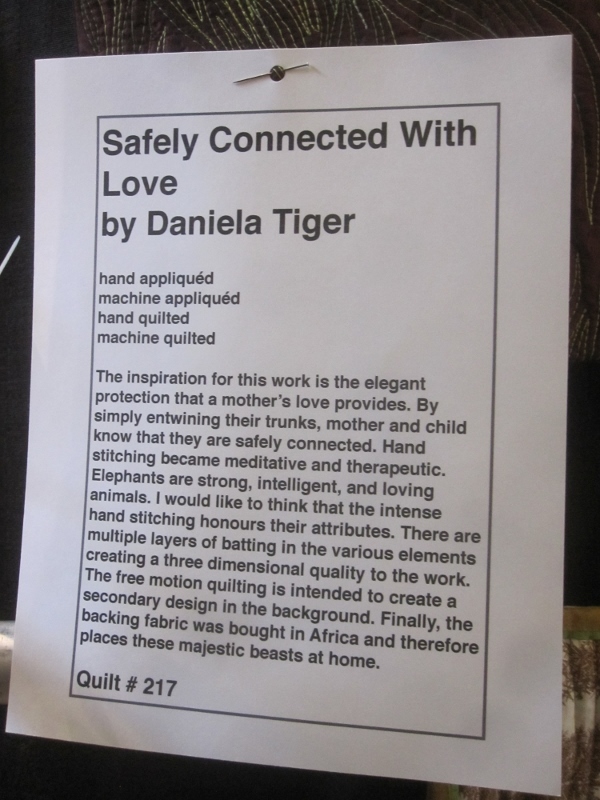 Have you seen a favourite quilt yet? 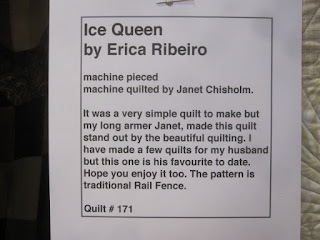 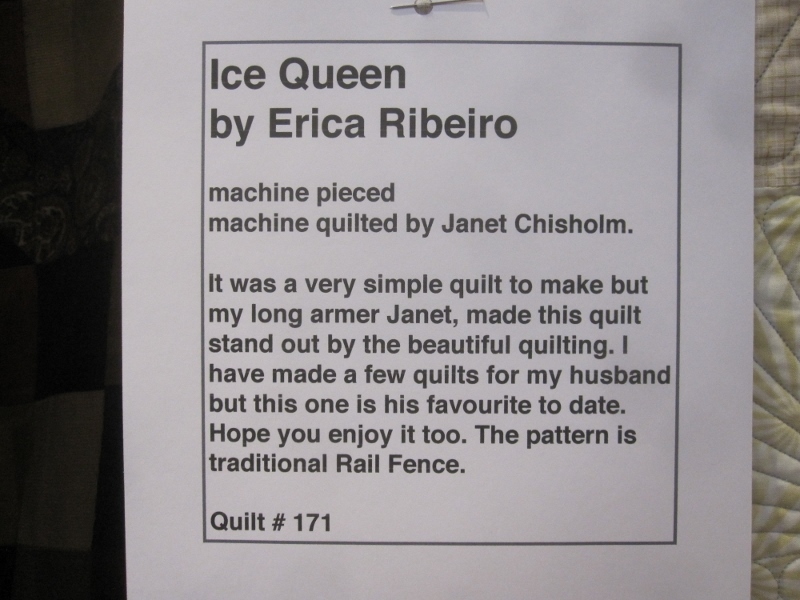 Ice Queen and that beautiful quilting is my pick.Thanks for all the info on each quilt as well. 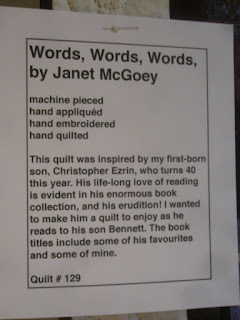 Folk Tails and Words, Words, Words are my favourites, but it was a hard decision!